We all have regrets. Things we woulda, shoulda, coulda done instead. I certainly have a few when it comes to my writing. After more than a decade, it still smarts that I sold a short story for six bucks only to have an editor for a new anthology, which would Stephen King, Peter Straub and a whole host of other A-listers, request the story after she heard me read it. She had a contract for me, but withdrew it when I admitted the story had been published in a small press magazine. New stories only. No reprints. And my first big break ebbed away. But as sucky as that story sounds, it’s not my biggest writing regret. Not even by long chalk. My biggest writing regret was not talking to Stephen J Cannell when I had the chance. 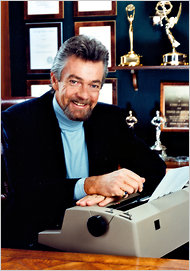 For those who don’t know, Stephen J Cannell was a TV writer and producer, famous for such shows as The A-Team, Magnum PI and a host of others. 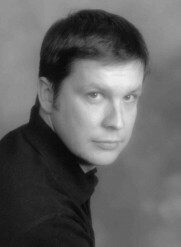 In later years, he turned his hand to novel writing and is most remembered for the Shane Scully books. In 2003, he was one of the guests of honor at Left Coast Crime and he gave a fabulous speech about his career and his dyslexia. I hadn’t known he was dyslexic. Listening to him describe his struggles and desire to succeed admirable and amazing. As someone who’s dyslexic, I was quite struck by his story. Listening to him, I was listening to myself. The embarrassment and shame he’d felt, I’d felt. The little tricks he’d used to hide his problem, I’d used. Needless to say, his speech had a profound effect on me. I wanted to say something to him, but his readers swamped him at the post speech signing. A couple of hours later, he appeared in the hotel bar. I was in there with some friends and he was at the bar, alone. This was my chance to go up to him and tell him how much his speech meant to me as a fellow dyslexic. But I got cold feet. At that time, my first book, ACCIDENTS WAITING TO HAPPEN, had just come out and I was (and still am to a certain extent) self conscious about my writing because I’m dyslexic. I was sure he wanted to have his drink and not to have to deal with a spaz like me, so I left him in peace. Something I kicked myself afterwards, just because I bottled the moment. Fast forward a few years, I was asked if I would like to be a guest of honor at a fundraiser benefitting dyslexia. The other guest would be Stephen J Cannell. Finally, I would be able to tell him how much his speech meant to me. But before the fundraiser could be put together, Stephen died of cancer. The news was a kick in the guts. I’d blown my chance to tell him how he inspired me. Of all the stupid things I’ve done, not having the courage to talk to Stephen J Cannell is up there. As writing regrets go, it’s the biggest one because it could have been so easily realized. I think I’ve learned from this mistake. I try not to let my fears get the better of me…well, most of the time. He may be gone, but he did leave us his books. If you get the chance, I do recommend reading THE TIN COLLECTORS and ON THE GRIND (one of the most thrilling books I’ve read). And I’ll leave you with a classy tribute that appeared on the TV show, CASTLE. Goodbye, Stephen. Sorry we didn’t get the chance to chat. Great post, Simon, thanks. And a fantastic clip from Castle — the tribute to Cannell is really well done. Thanks Erik and I thought it was a great tribute to him. Very touching. Simon, this is a very inspiring post. Thank you! Well, it raised goose bumps and I thought it very moving. I recall my mother talking about being dislexic and having trouble in school. And it is one thing to miss an opportunity and then be able to rectify it later, but to be prevented from even trying is just so sad. Anyway, I really appreciated this post.